Can you believe that we’re half way through with summer? I am shouting hallelujah because my kids’ swim season is almost over, and I might actually be able to catch a day to sleep in (seriously, I look forward to turning my alarm off during the summer, but instead it’s set for every day at 6:30 during the summer. It’s too early!). I don’t know if your family has caught the Pokemon GO craze this month, but we’re enjoying catching Pokemon around our neighborhood. However…the game is not for everybody (especially kids who don’t have their own devices like a few of mine). Scavenger hunts are a great alternative. Kids still get to hunt around (around the house, with neighbors, around town, etc) but they have real paper and a pencil instead of an electronic device. I like Pokemon as much as the rest of them, but I still enjoy some disconnected play too! 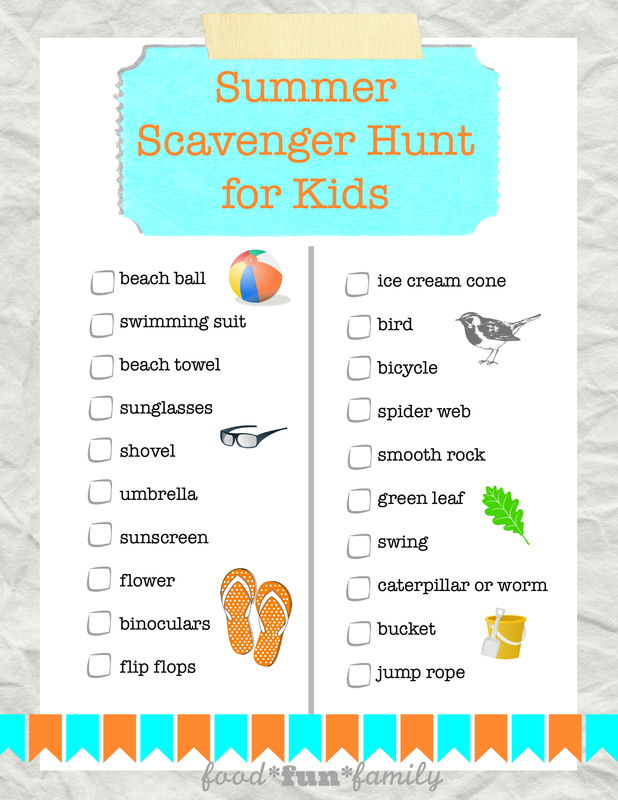 Ready for the summer-time scavenger hunt? Get ready to search for all things related to summer! 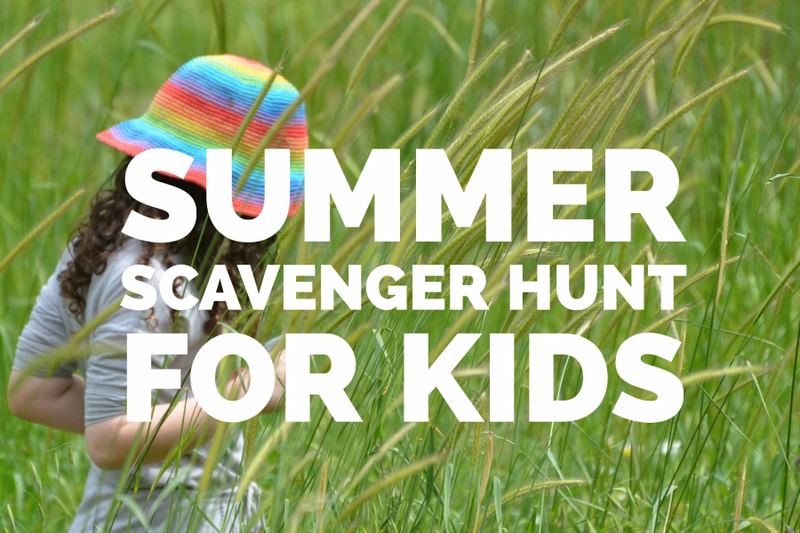 The best thing about this scavenger hunt is that it can be played many different ways – use the printable list as a guide and make the game your own. Simply print off as many sheets as you need, and then go have some fun! © 2016 – 2018, Food Fun Family. All rights reserved.